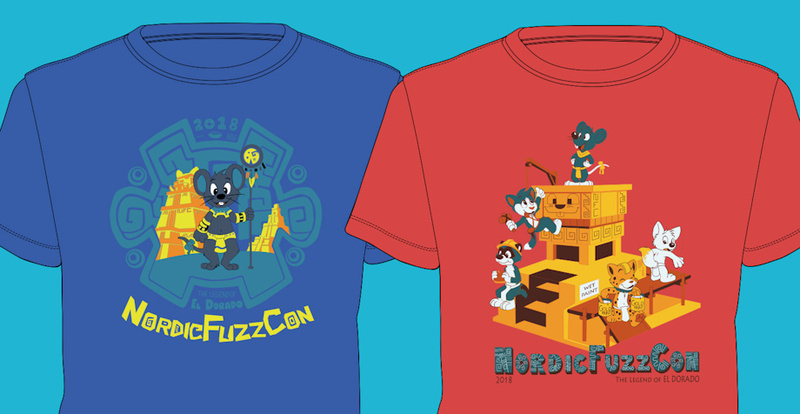 If you attended NordicFuzzCon, in Stockholm, Sweden, this past weekend. Surely you got one of these T-Shirts. The theme of this con was The Legend of El Dorado. Which style can include any kind of mesoamerican cultures, I took many elements of the mayan and aztec style at the time to sketch my proposals for these designs. Mausie is nice - but like most convention staff, also very busy. I barely had enough time to catch them in the official app! Oh these are so cute, I love them so much x3 Amazing job!